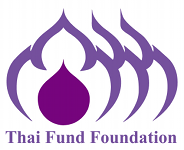 Mekong ICT Camp was first organised by Thai Fund Foundation since 2008, the week-long biannual MEKONG ICT CAMP accommodates over 300 participants from around the world. They are technologists, social workers, healthcare practitioners, and journalists, who work on the issues that related to the development in Greater Mekong Subregion. Most of the participants in the past Camps are from Cambodia, Laos, Myanmar, Thailand, and Vietnam, with a smaller number of other Southeast Asian and South Asian countries. 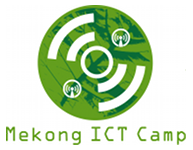 The Mekong ICT Camp will be held on 4-9 September 2017 in Siem Reap, Cambodia. — We are now in the fund-raising stage. A Space, in both physical and virtual sense, for fostering collaborations among technologists, journalists, social activists, and public sector officers on the ground, to make the best use of information communication technology (ICT) for the purposes of social development. An Engine for powering networking of facilitators and practitioners who work or intend to work with ICT in the regular work to further share, to teach and to disseminate the knowledge, skills and core practice. A Center for promoting open source software, open data paradigm, and creative commons knowledge. A Catalyst for self-organizing activities and peer-to-peer coaching and training whereby participants, regardless of backgrounds, languages, and level of skills, are engaged to provide feedback, ask questions, collect information, and all in all, enhance mutual learning. Read reports from our previous Camps in 2008, 2010, 2013 and 2015 Also a presentation by Bicyclemark. Contact mekongictcamp@gmail.com for any suggestion and query on opportunities to organize a workshop module, volunteer as a resource person, join as a participant, and fund a workshop.